“It was horrific,” Lynne Patton told a New York CBS affiliate about her one month living in public housing in the city. The CBS report includes video to confirm much of what Patton said she encountered while living in and exploring public housing. Patton wasn’t shy about placing blame on Democrat Mayor Bill de Blasio, whom she said is not helping the people forced to live under these kinds of conditions, and is also wasting millions of federal dollars. “I know that money is being wasted, for example one of the units I stayed in Brooklyn had a leaky basement, but NYCHA (New York City Housing Authority) thought that was the perfect place to store about 40 brand new doors never used – those doors were destroyed,” Patton said, adding that she wants to see proof that the staggering $30 million a week that goes to NYCHA gets from the federal government is being used to fix the problems,” Patton said. Patton went so far to say in the CBS interview that she believes de Blasio and city housing officials are fraudulently deceiving the federal government about conditions in the city’s public housing. Patton also said there need to be fewer office workers and more boots on the ground. 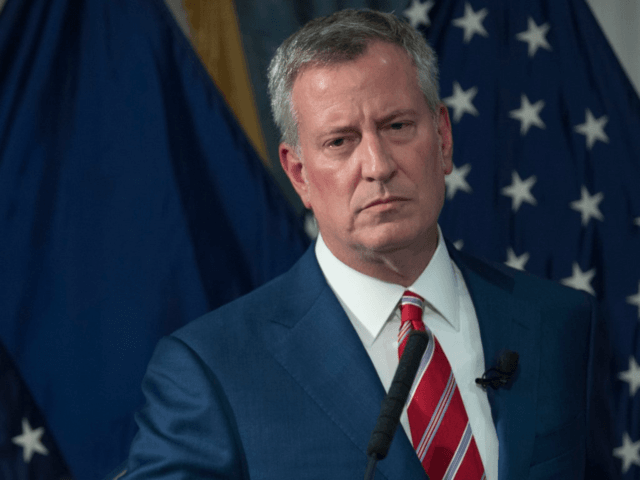 “There are far too many people at NYCHA wearing buttoned-up white shirts and not enough wearing overalls, and this has to change, and the mayor needs to get on board or get out,” Patton said. De Blasio pushed back on Patton’s charges. “Everything she is saying is false, let’s make it simple false, false, you can quote me… keyword false,” de Blasio said, adding that Patton’s experiment has less to do with public housing and more to do with President Donald Trump’s budget request, although he did not explain how. CBS noted that de Blasio did not directly answer questions about the fate of the millions of dollars. Meanwhile, the residents who are living in dirty and dangerous condition were happy to see Patton and her effort to get the word out about their plight even though it seems things have now returned to the status quo. “They’re telling the residents ‘oh, we can’t do this, we can’t do that,’ but that wasn’t the issue when Ms. Patton was here,” resident Leonard Jones said in the CBS report.